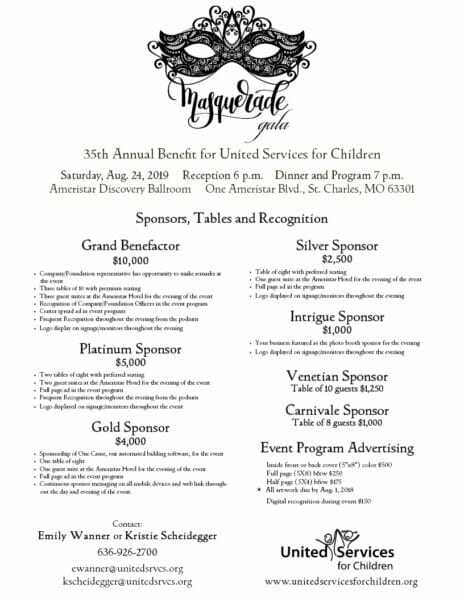 “Masquerade Gala” is the theme of our 35th annual signature fundraiser, to take place Saturday, Aug. 24, 2019, in the Discovery Ballroom of Ameristar Casino-St. Charles. Co-chairing the gala are Heather Hebson, Lauren Kingsten, Melinda Nolan and Susan Sams. These highly motivated ladies are guiding a committee of enthusiastic community leaders who are working to make this the most exciting gala in our history. You do not want to miss this! Follow this link for more information and updates!